What: BBQ-hamburgers and hot dogs will be provided. Bring a side dish to share! 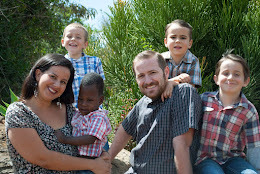 Why: We are leaving for Nairobi, Kenya and would love to share what we will be doing once we get there. We would love for you to come and be a part of this awesome work the Lord has called us to. Since the church is providing the food, we need a head count so please RSVP.